Stefan van Dijk, of Travel Massive Kosovo and tourism host at Kosovo Info and Kosovo Blogs, is sharing just some of the many tips to exploring Kosovo like a local. Stefan emigrated in 2012 from The Netherlands to Kosovo simply because he believes it is the perfect country to combine ambition and ideals. Let’s ask a few more questions about exploring Kosovo. What makes your country so awesome or unique? Long summers, very friendly people, cheap food, awesome nature! What surprises people most about your country? There are many mountains and waterfalls! Additionally, people are very Western orientated and many people aren’t aware. Are there any myths or misconceptions about your country, people, custom, or culture? Many people only know about Kosovo because of the war in 1999, but the country has developed quick and has some wonderful and beautiful hidden gems. Best sustainable travel tips for visiting your country? The Rugova Valley is a great place to travel in any way you want (by car, by bike or walking). The valley has many places to walk, hike, swim or just enjoy the beautiful streams and waterfalls. Best local food or restaurant? The city of Gjakova is known for their delicious food. I am always surprised by the taste of their chicken salads and fresh bread out of the oven (they really taste different in others towns). You can also find a lot of traditional food there. Best local drink or bar? The story goes that Kosovo has the best macchiato in the world (and by far the cheapest). If you want to learn about alcohol, I would recommend our traditional raki. Best local neighbourhood to explore and why? The old town of Prizren has a lot of influence from the Ottoman Empire. It’s beautiful. Since 2014, the old town of Gjakova has been reconstructed and has a narrow street with dozens of bars. Best local festival people should experience? Dokufest in the summertime. This is a filmfestival with locations through the town of Prizren. All the locations are special in their own way. Kosovar weddings still have many traditional aspects and are known for their endless dancing to traditional Albanian music. Best spots to get off the beaten track? 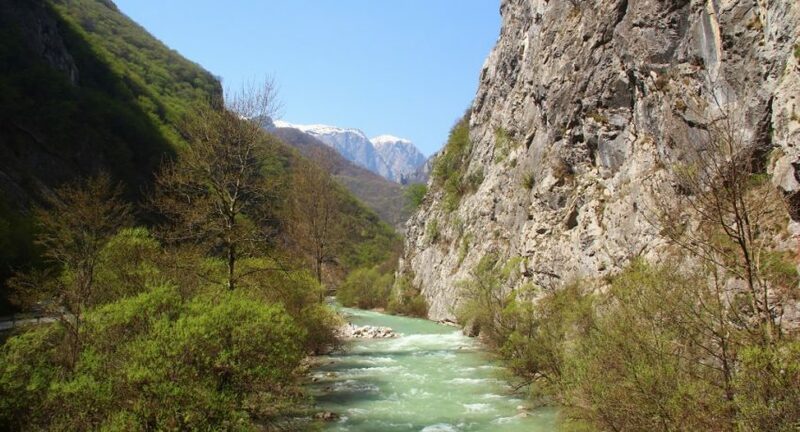 There are several hiking organizations in Kosovo, which can explore with! Best time of year to visit and why? Its relatively warm from April until October. The months in the middle can be hot, sometimes with weeks between 30 and 38 in the daytime. The other months can be cold, and sometimes with a lot of snow (which means more opportunity for skiing)! Are their any helpful words or lingo in the local language we should know? Many will speak a bit English or German. The most relevant word to know is ‘where is’, so you can always ask for a specific place. Where is (…) = ku është (…) [pronounce ku like ‘cool’ without the ‘l’ and është like ‘dust’ without the ‘d’. What is your favourite go-to travel website or blog about your country? I like the facebook page of Explore Kosovo and Hiking Njeri because they show a lot of places through photography. Kosovo Info also lists seven highlights which I would absolutely recommend a visit to.